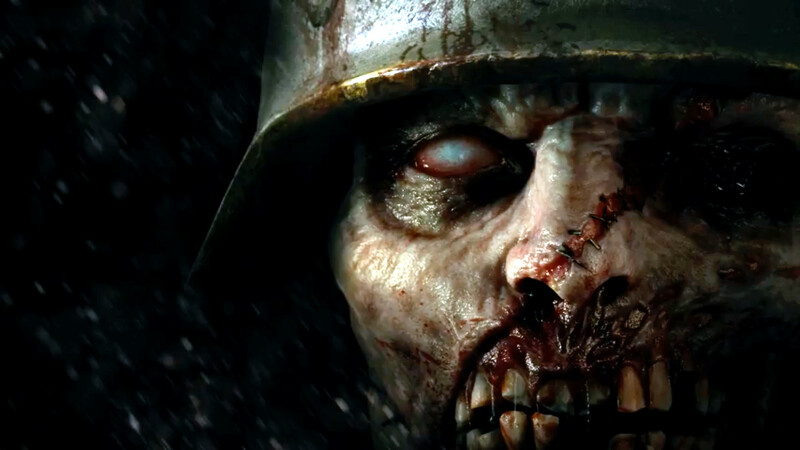 There’s nothing quite as thrilling as slaying zombies in Call of Duty’s zombie mode, and now that Call of Duty: WW2 has arrived, you’ll be able to experience glorious Nazi zombie killing all over again! Before you can really sink your teeth into the new area, you will need to learn how to turn on the power. The first step in turning the power on in CoD:WW2 Nazi zombies is to find the generator. However, keep in mind that once the power is on, unlocking new doors will cost you a lot of Jolts (the new currency). For instance, the Bunker door will cost you 1,250 Jolts – so start saving! You will need to head into the sewers in order to find the generator and get the power on. The sewer system is currently boarded-up, so you will need to set off an explosion to clear it. This is done by activating three gas valves around the map. To do this, head to the village in the center and look for the Geistchild Machine, the first gas valve is behind it. After you activate it, face the Bunker doors and look to your left for an alleyway. You will find the second gas valve down the alley. There is an additional gas valve you will need to activate, and this one is located behind the Riverside gate. Unlocking the gate costs 1,000 Jolts, so make sure to take a moment and kill zombies if you’re running low. The gas valve is pretty easy to spot once the door is unlocked, just be careful of the ambush after you activate it. With all the valves activated, make your way back to the village in order to begin the next step of turning on the power. In the village will be a boarded-up well and near it will be a pilot lighter – activate it to cause an explosion. This will expose a horde of zombies in the now-exploded well. Kill the Nazi zombies and head inside. You’re now in the sewers and mere moments away from turning the power on. Head through the sewers until you reach the switch on the wall, turning this on will activate the generators and power up the area, granting you access to different sections of the map. From here, return to the Bunker and unlock it for 1,250 Jolts. Once inside the Bunker, look for two doors that will take you to the Lab and the Morgue (wonderful) respectively. Collect some Jolts and then unlock the two doors. Head towards the Lab and up the stairs to find a panel in the back corner of the area. Switch the panel on and then head back down and into the Morgue. Look for a similar panel and switch it on as well. Be sure to activate both switches in a short amount of time, although we’re not exactly certain on just how much time that is. Turning on the power in Call of Duty:WW2 Nazi Zombies is a fairly simple process, but can be a bit time-consuming by yourself. Make sure you save up enough Jolts in order to unlock all the doors that stand in your way. Once the power has been turned on, you will want to know how to activate the Pack-a-Punch to upgrade your weapons. Be sure to check out our Call of Duty: WW2 Headquarters preview to see what the new COD social space is all about.